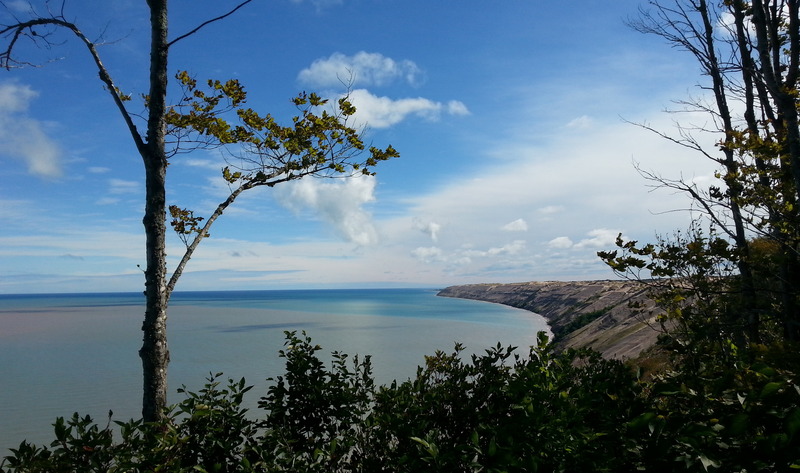 Picture yourself standing on a cliff above a crystal-clear lake, which is pounding a rugged shoreline. Maybe you can see a freighter in the distance, plowing its way toward the Soo Locks. 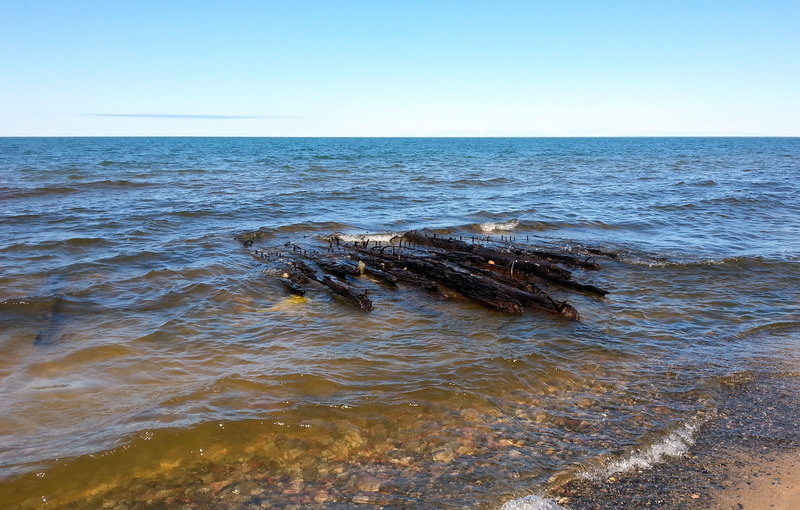 Along the shore is an old shipwreck, one of many that line the bottom of this enormous lake. A brilliant blue sky allows maximum sunlight to filter through the thick canopy of birch, maple, and pine. It’s perfect. Now, take yourself out of the picture, and insert the Crankshaws. 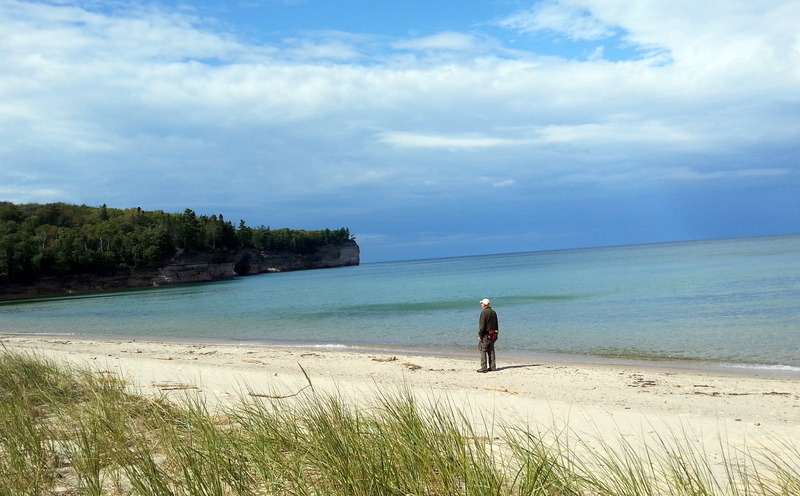 Because….here we are at Pictured Rocks National Lakeshore. Oh man, have we ever picked the perfect time to be here. Solitude, great weather, and NO FLIES! We’ve spent a terrific week exploring this area on foot and bike. We selected the Lower Hurricane Campground, a rustic campground which is part of the National Lakeshore, for our first port. Our Geezer Pass allows us to camp for just a few bucks a night. We’re 100 yards from Lake Superior, which we can hear crashing around out there, although we can’t see it from our site. I’ll spare you the step by step of our area exploration. We took in Sable Falls, and the Logjam Overlook. This is the area where where logs were pushed down a chute (of sorts) to the lake for transport. 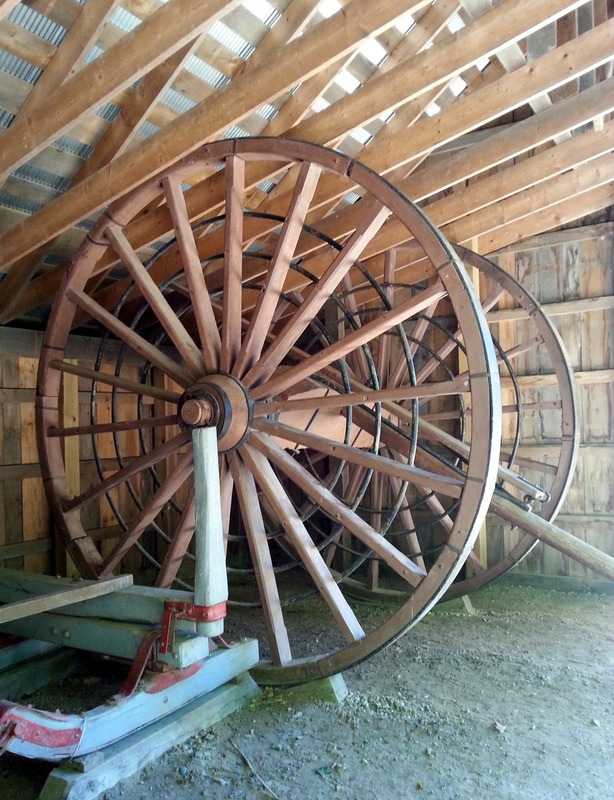 We saw some of the old horse-drawn, big wheels which hauled the timber. 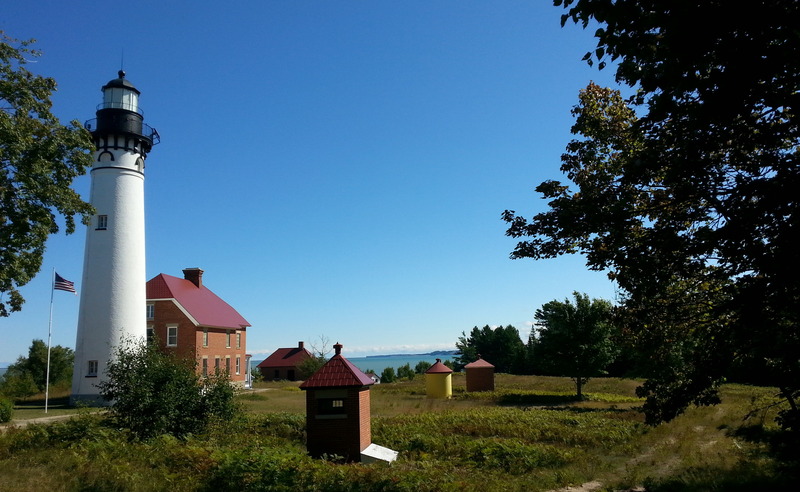 One other day, we hiked to the 1874 Au Sable Light Station. Imagine living in a remote cedar swamp, where snowfall totals each year regularly top 150″. All supplies were brought in by ship every couple of months, provisioned by the government. Adequate, but nothing extra. 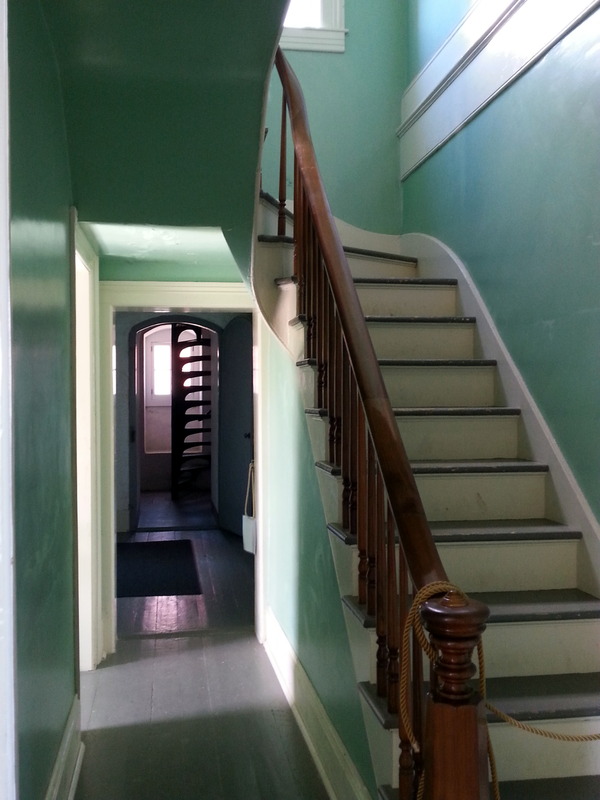 Lots of hard work, punctuated periodically by surprise inspections. 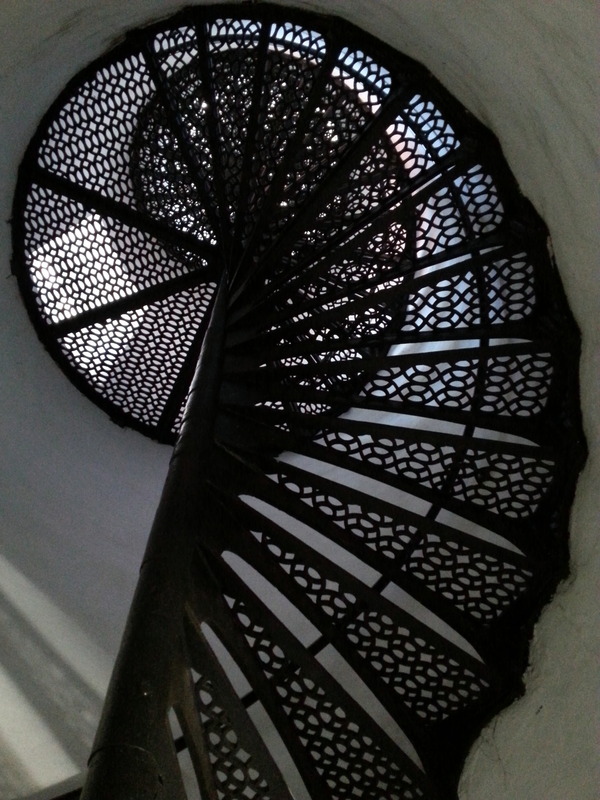 As well as the lighthouse keeper’s house (above), we did get to climb into the lighthouse tower, and go outside onto the narrow balcony at the very top. What a treat, and what a fantastic view! On the hike back to camp, we climb on 100 year old shipwrecks – three are washed ashore near the lighthouse. We hiked to Chapel Rock and Chapel Falls. 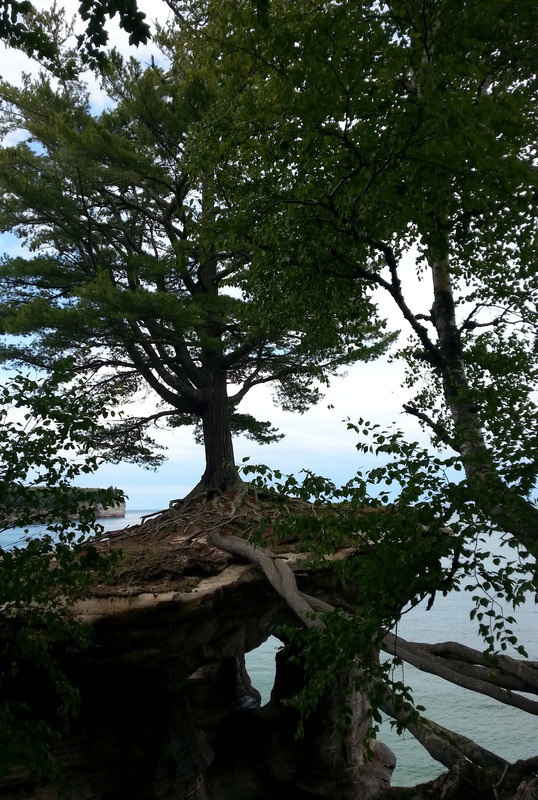 Chapel Rock is the “perfect Michigan bonsai”, as another hiker described it to us. Two thick roots attach the lone pine tree atop this huge sandstone rock to the mainland. The rest of the rock crumbled away in 1940, leaving the tree on its lonely rock island. It’s spectacular. 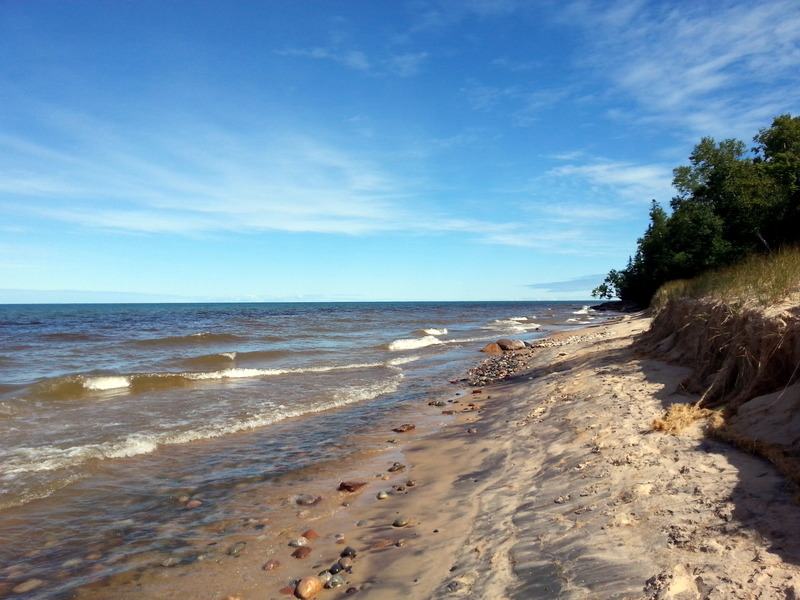 Chapel Beach is a great spot for lunch before we begin the 3-1/2 mile trek back to the Trailhead. 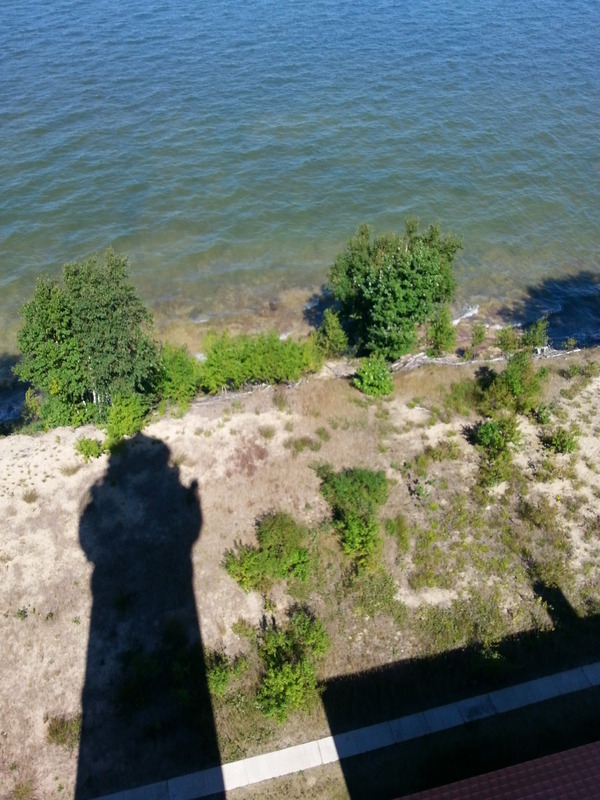 So many beautiful sights in this 40 mile National Lakeshore. Miner’s Rock. The UP is home to many waterfalls, and we have explored several, although my photographic abilities don’t quite match my enthusiasm. So, you’ll just have to imagine…. 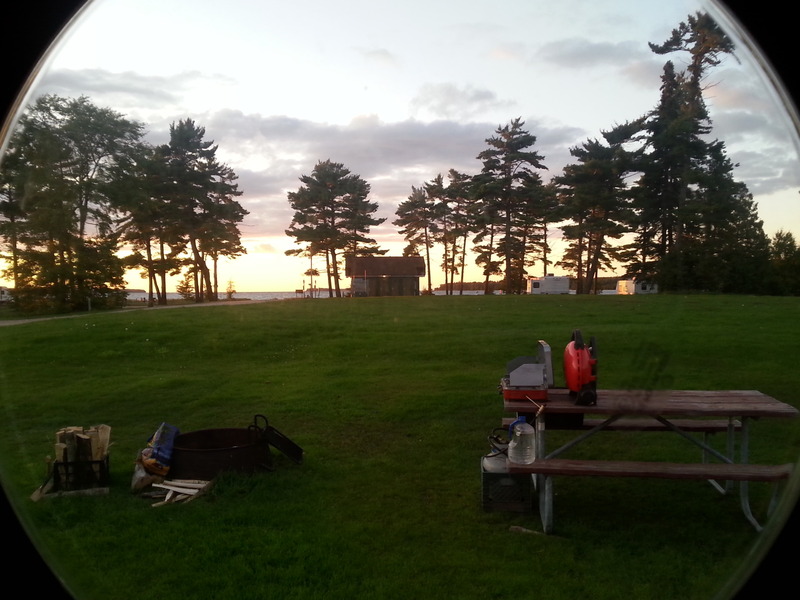 We continue our coastal westward march to Munising, where we land at the Tourist Park, a busy RV park. Not our favorite kind of camp by any means, but a great jumping-off place for our next adventure – a day of mountain biking on Grand Island. Stay tuned. 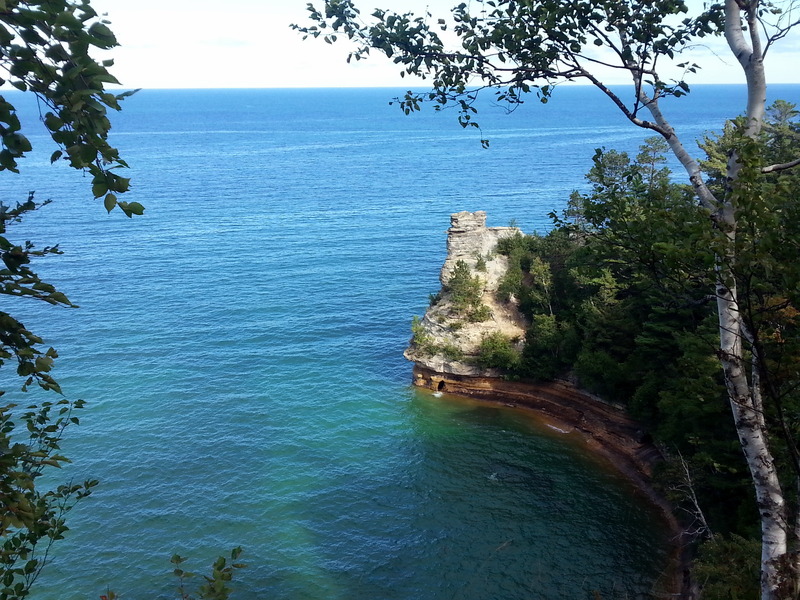 This entry was posted in camping, hiking, Michigan, national parks, retirement, RV life, simple camping, T@DA and tagged camping, cycling, hiking, Michigan, Pictured Rocks National Lakeshore, simple camping by Judy Crankshaw. Bookmark the permalink. Great pictures and excellent commentary!! Drop Dead Gorgeous photos! And your writing is so exuberant and polished. I would have loved to use your blogs in teaching my students the technique of voice. I can hear your own voice in narrating your escapades. It’s so much fun following your adventures and trying to imagine doing this myself. So glad you’re having such a great time and truly appreciate that you are sharing it with us homebodies. Michigan is a true wonderland. Oh yeah, Alison – this is me. I’m pleased and surprised to find myself in such happy circumstances these days. It’s great to be able to see all these incredible places with my Best Husband and Best Dog. Five years ago, I wouldn’t have believed this would be. People (or bloggers, anyway) should write with their own voice. If I get a new pen pal out there who likes my style, in very happy. But, I have to realize that I’m not everybody’s cuppa tea. I get a lot of satisfaction or of recording these amazing days. When John and I are drooling on ourselves in a mm nursing home somewhere, it will give us something to reflect on (or something on which to reflect) for you retired English teachers. Wow Judy! What spectacular photos! Guess I’m going to have to put the UP on my bucket list. Looks like you’re having a blast! What good is Jezzy? Afraid of a little chipmunk? WOW! Deb, these are not your regular little cute city chipmunks. Bold! Sassy! Some that you would like to hire at McDuffs. The UP might be a problem for you. Flies when weather is nice, and pretty damn chilly when the sightseeing is perfect. You’ll have to decide. Oh ya….timing is everything. I love it when you hit a spot and it’s like everything you could ever dream for falls together! the Bonsai…..super neat! We should have left South Bend and went North….next time!! Like you reminded me, “this ain’t no 2 week vacation….we have plenty of time to drag our heels!” Have fun…know you will! We can all learn. I appreciate that you went to College of the Ozarks every day so see what’s new. We are lucky to have an abundance of slow time, aren’t we? 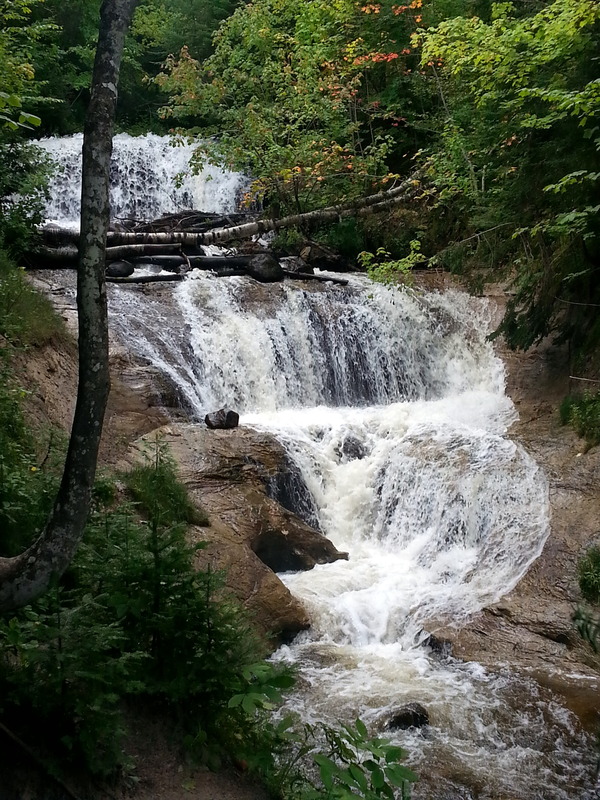 Hope you get to the Jampot at Jacob’s Falls near Eagle Harbor. The brothers make muffins as big as softballs and jams from fruit you’ve never heard of. The fruitcakes are laced with any type of alcohol that you can imagine. And they’re heavy enough to anchor a small boat. Well, with a recomnendation like that, how could we pass it up? Getting my map out as I write. Thanks. Oh yeah. Checked it out. The Fireball week be making a stop there for sure. Thanks, Ken. Thank you for reminding me of why I need to go back again to see everything that I’ve missed during my previous trips there. I need to devote an entire week to that area, rather than a day or two to hit the high points. I’ll bet that it’s been quite chilly up there, but that means no bugs, which makes dealing with the cold worth it. I’ll be looking forward to the post on Grand Island, I’ve never been on the island, and I’ve heard that it is beautiful there. We’ve decided that we really like moving slow, short distances, and staying several days at each spot. We’re old enough to realize that w might not get another chance to revisit spots we miss this time around. Is been cool/cold at night. But, you are absolutely right about the bug tradeoff. A Volunteer at the lighthouse for us that the hitting floors were so bad in June that they could hardly stand being outside. We are moving this. I think you would love Grand Island. You can even camp there. It would be fabulous. I’ve been in the UP in June, never again! The black flies are enough to drive a person insane. I hope that you’re going to spend some time in the Porkies also. 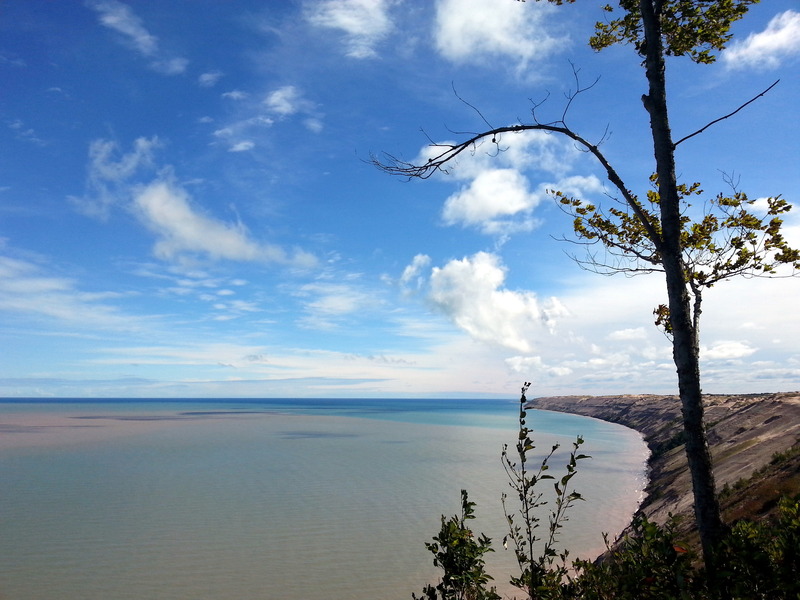 My one week tour of the UP just wasn’t enough time, and I ran myself into the ground trying to cover it all. We will be heading into the Porkies for sure. Next stop after Marquette is Copper Harbor. Porkies probably after that. Sending this from laundromat -just want you to know that it’s not ALL fun and games! Absolutely great shots! So glad the weather cleared up for you and John. Were there “thousands” of chipmunks on the trail to Chapel Rock? Two years ago when Rose and I took that trail there were so many of them we thought we were in some kind of horror movie. We have been overrun with chipmunks and red squirrels all over up here. The worse was when, somehow, a chipmunk got into the Fireball. He kept flinging himself up against the porthole windows trying to get out. We had a few tense moments before John finally ‘liberated’ him. Jezzy no help at all on this issue.